Ballhausen, Carl J. - Component of : Early Ideas in the History of Quantum Chemistry. Photograph: © J. Chem. Ed. 56, 215, 1979. Carl Johan Ballhausen was born in Copenhagen in 1926 and graduated in 1954 with a mag. scient. degree (equal to a Ph.D.) from the University of Copenhagen in inorganic chemistry. He received his dr. phil. (about equal to a German 'Habilitation', based on a publication of additional and intensive scientific research) at the University of Copenhagen in 1958. Ballhausen continued his career as an Assistant Professor at the University of Chicago that same year. Ballhausen has been a postdoctoral fellow at Harvard University and a visiting scientist for Bell Telephone Laboratories in Murray Hill, New Jersey. Ballhausen, starting with Bethe's crystal field method in the 1950s, developed from there a theory for transition metal ions which became known as Ligand Field Theory. This work led rapidly to detailed correlation of both the electronic spectra and the magnetic properties with the structures of transition metal complexes. 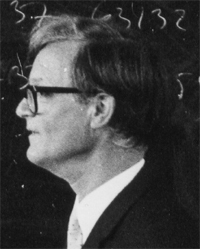 Ballhausen's work resulted in many papers and his well known book Introduction to Ligand Field Theory in 1962. In 1992 Ballhausen, among many other acknowledgements he had received, was elected Foreign Associate Member of the National Academy of Science, USA. Photograph: Courtesy and © J.P. Dahl,Kopenh. Carl J. Ballhausen : History of the Crystal Field Approach. From: Introduction to Ligand Field Theory. McGraw-Hill, New York, 1962. pages 2-6. 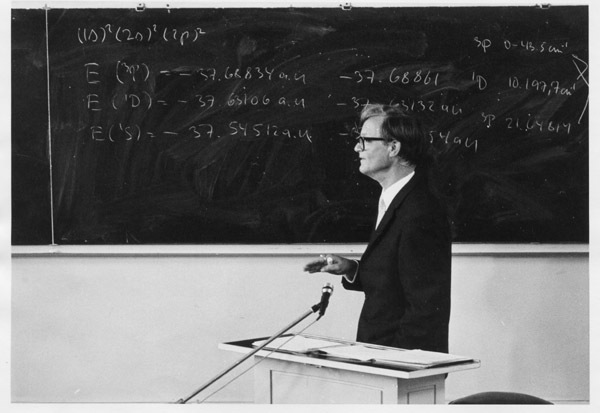 Carl J. Ballhausen : Introduction to Ligand Field Theory. Carl J. Ballhausen : Quantum Mechanics and Chemical Bonding in Inorganic Complexes. J. Chem. Ed. 56, I : 215-218 II : 294-297 III : 357-361 (1979). J. P. Dahl, C. J. Ballhausen : Molecular Orbital Theory of Inorganic Complexes. Copyright © Apr. 14, 2002 by U. Anders, Ph.D.